Disclosure: These products were provided for review by e-Cigarette Lobby. Use the coupon code stevevape to save 10% off your order at e-Cigarette Lobby. 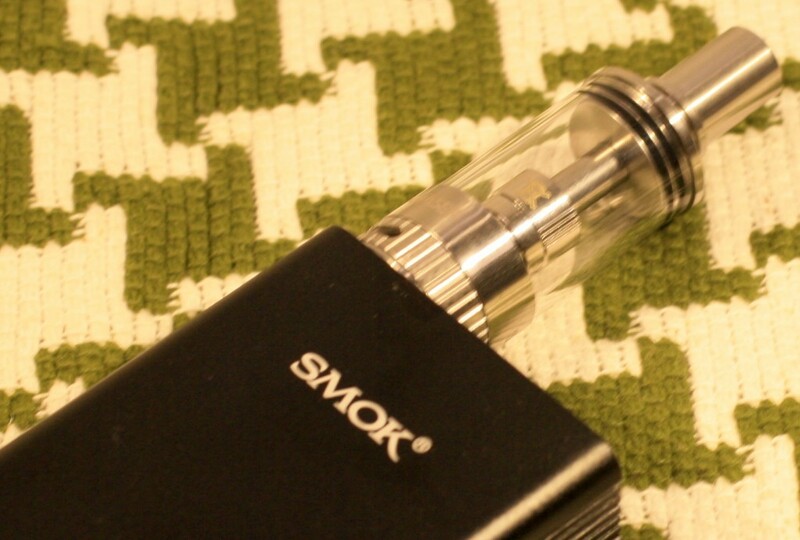 Starting up this roundup of nifty high-performance Smoktech gear is the M80 Plus APV. As you might have gathered from the name, this device can crank the power up to an excessive 80 watts. But there’s even more goodness indicated in the Plus moniker. At its most basic the M80 Plus from Smoktech is a box-style APV with a huge battery and a fairly high watt range. From a design standpoint, the larger battery, which Smok claims to be a pair of internal 18650 batteries does at a touch of width to the body. The M80 is around an inch wider than single 18650 boxes. For me, it means that it felt a little weird holding at first. People with smaller hands might find that width to be a little much. There is a benefit to dealing with the slightly wider box, of course. Basically, it translates into the ability to run a bunch of power through your atomizer if you’re so inclined. However, for me, the benefit translated into some serious battery life since I tend to keep things below 30 watts. Smok’s big box comes in a few color choices, my review unit is a flat black. The top and bottom plates are a shiny chrome finish. The bottom sports the micro-USB charging port and a series of vent holes. 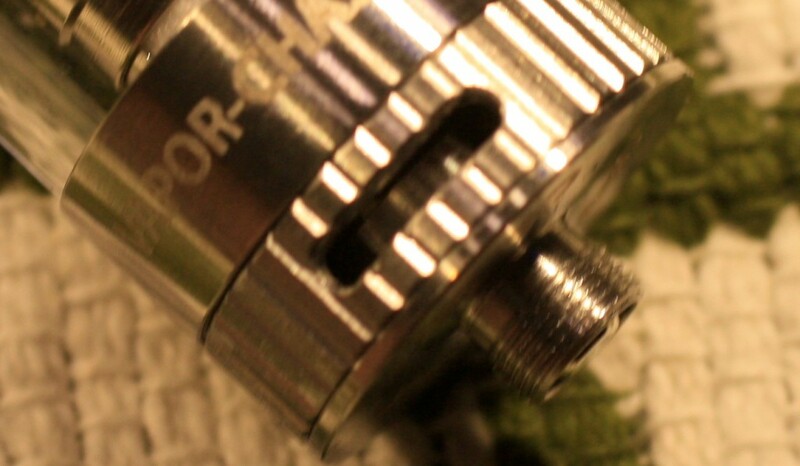 The top, meanwhile sports the flat 510 connector with a spring-loaded center pin. An eGo adapter is also included in the box for the eGo purists out there. Other than the curved edges and slots that go along the side opposite the OLED display, this is a pretty plain-Jane box. There’s a large fire button located on the other side towards the top of the box. The button has a good, solid feel and a tactile click to it. Two good sized round adjustment buttons are located on the same side below the OLED display. Adjusting the features is done via 3 clicks of the fire button. Once in the menu system, press the fire button again to cycle through menu options. The adjustment buttons are used to select the desired menu setting. The menu items of note are the operational mode puff limits and the temperature setting. You’ll find three modes in the operational menu: wattage, mechanical and temp. There’s no variable voltage option for some reason. Mechanical mode simply delivers whatever voltage the battery has available to the atomizer. The last option is temperature mode, and it’s the most interesting thing going on with the M80. 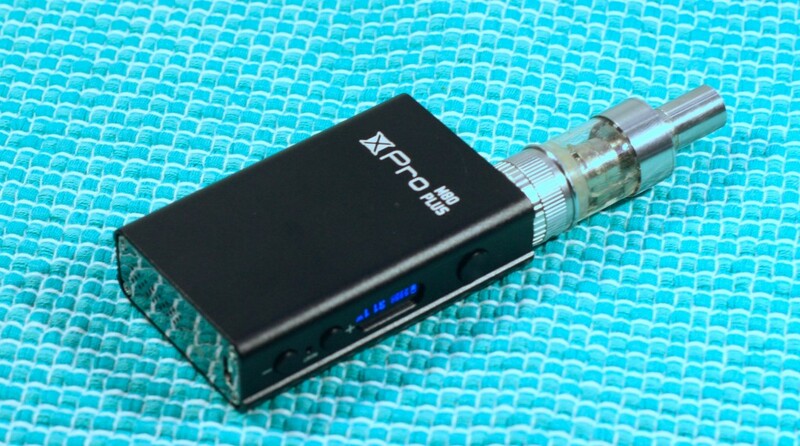 This works similar to the DNA 40-equipped mods. In this mode, you set the maximum temperature (between 100-600 degrees) in the temperature menu item. This feature only works with tanks and atomizers that are equipped with a nickel wire for temperature compatible APVs like the M80. With the proper device attached to the APV, wattage output will be lowered to prevent the coils from going above the preset temperature. The reason behind this is to prevent sending too much power to your coils, turning your wick into a chunk of charcoal. In testing with the GCT, I found that a temperature limit of around 400 degrees limited the power output to 25 watts, give or take. 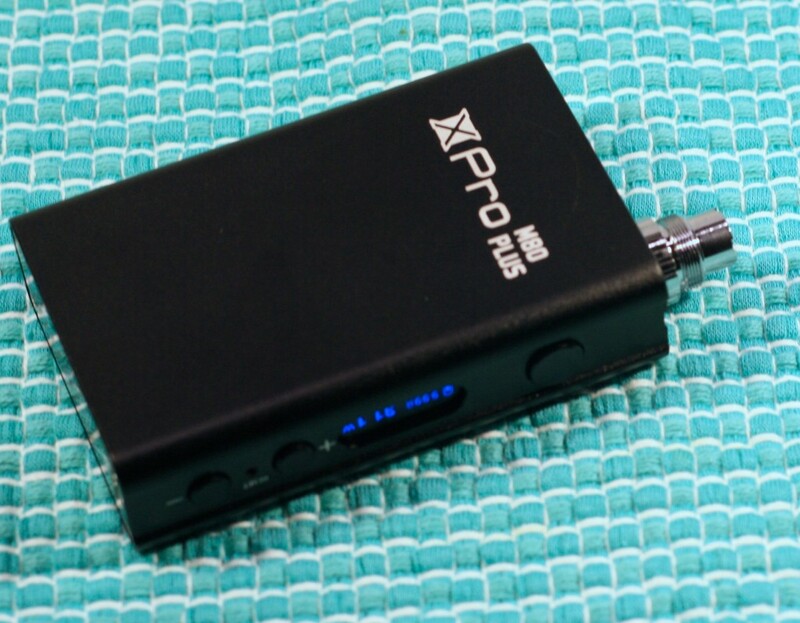 Smok’s XPro M80 Plus is a very competent box APV. The extra features like temperature control makes sure this box can run with the latest generation of high-power devices on the market. The only real downside I noted was the extra width. GCT stands for Gimlet Cloud Tank. I seriously have no idea what that’s even supposed to mean. It’s sort of their fancy tank, rocking gold accents under the drip tip and in the form of strips along the base of the tank. The included heads use nichrome temperature sensing coils that make them work with specialized hardware like the M80. The nickel coils are super low resistance. Smok states they are 0.2 ohm, but my review unit came in at 0.3. Still that’s considerably lower than the 0.5 ohm you see in most competing devices. Wicking material inside the heads is organic cotton, so pre-wetting them with e-liquid is a must. This is especially true if you plan on blasting these things with loads of power. 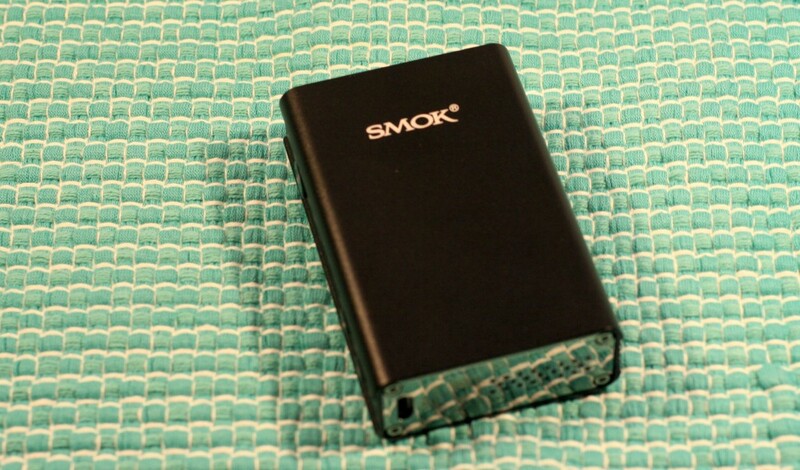 Smok’s info states that they can run up to 80 watts. I gave up at 50, considering I have a chest cold as I’m writing this review. I detected some burning there, so I jumped down to a more reasonable 40 watts. Performance was great at 40. Although I have to admit that might be overkill. 30 watts and even the temperature controlled 25 watts I was running at with the M80 produced plenty good results. Now, if you aren’t running temperature controlled gear, but you like the styling of this tank (or are a fan if gimlets, I suppose) GCT and VCT heads are interchangeable. Which naturally brings me to the VCT. The VCT is like the GCT’s more conservative brother. It’s a similar tank, but lacks the artistic flourishes. It has the same capacity, and the same airflow control system as the GCT. Oh, right I didn’t mention that yet. There’s nothing terribly revolutionary about the airflow system on either of these tanks. A band covers a series of progressively larger cutouts on the bottom of the tank. Rotate the band to expose the desired hole to get the airflow from tight to very loose. There is a nice click that you can feel when you hit each setting. So there’s no worry about the band slipping out of position, unlike some other tanks which shall remain nameless. The VCT’s claim to fame is the availability of four different types of heads for the tank. Options include the A1, X1, X2 and RBA heads. I did not receive the RBA head with my review products, but I did get the other three, so I’ll mention a bit about those heads. 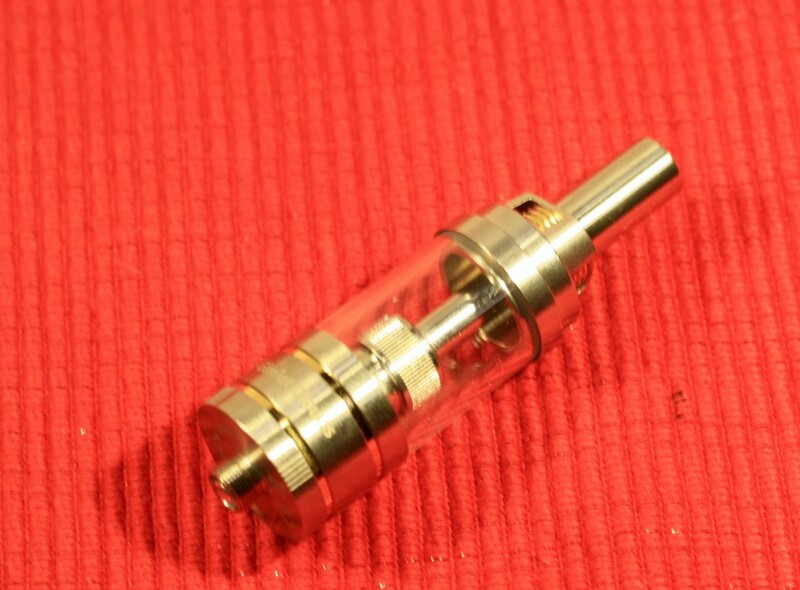 The A1 is a single vertical coil. This is the type of coil you see in most other subohm tanks like the Atlantis. 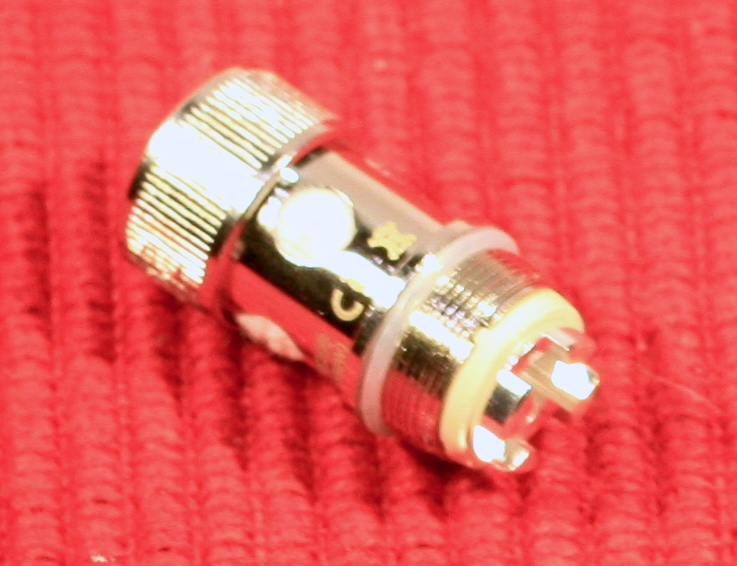 In addition to the typical half ohm resistance you see, you can also get these heads in a 1.2 ohm version. Welcome news for those who are a little bit over the subohm craze. X2 heads are next up in the lineup. 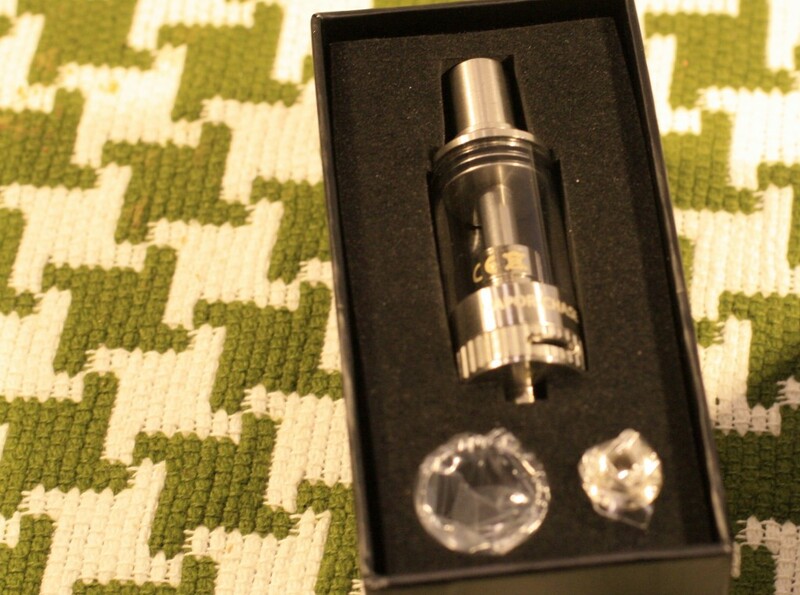 These heads boast a pair of vertical micro coils and perform more like traditional tanks. These heads also feature a higher resistance. Last up is the X1 head, currently my favorite. These heads feature a single coil made of large-gauge wire. Of the three I’ve tried these are probably my favorite heads. They seem to be able to absorb a huge amount of liquid, so they work great at higher wattages. All the heads in the lineup are wicked with organic cotton. Therefore, you’ll want to pre-wet the wick before you start using the tank lest you be sorry. While I have to admit the VCT isn’t the flashiest tank I’ve played with, it is one of the more solid tanks. 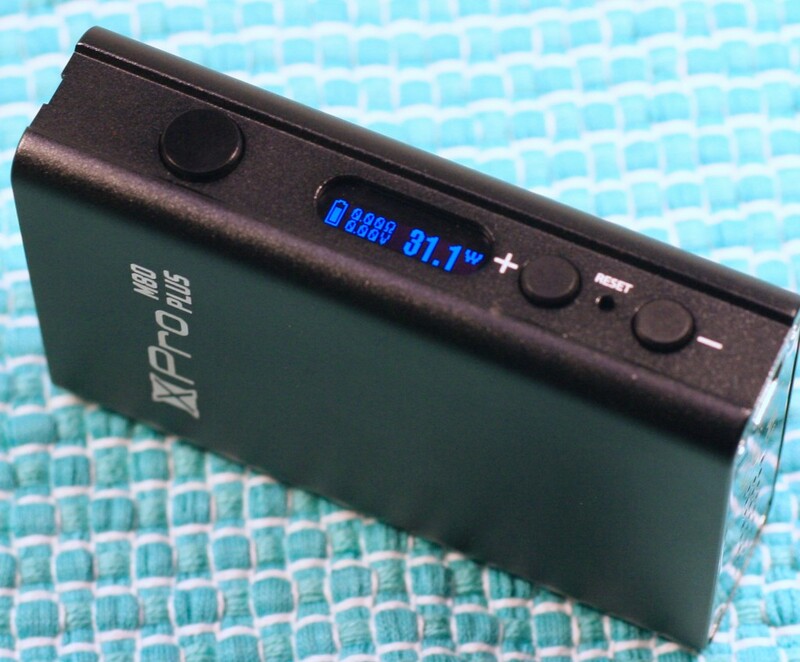 Coupled with Smok’s new M80 (and other units I’ll review soon) they provide a good high-end vaping experience. Smok is definately not to be counted out of the game at this point. You can check out these new Smoktech offerings at e-Cigarette Lobby. Don’t forget to use coupon code stevevape for 10% off.